Product code: N14 Categories: Blues, Browns, Floral & Trees, Luxury Fabric, Mixed Blend, Scutt & Coles. 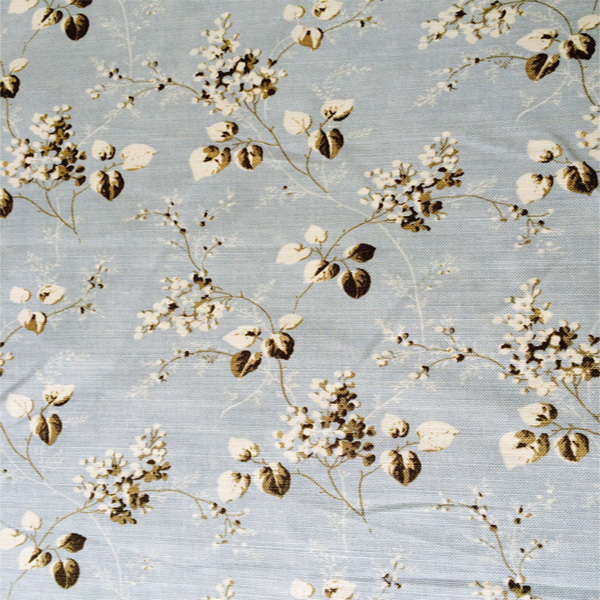 Albertine Blue by Scutt & Coles is a beautifully designed fabric of small flower buds and leaf detail. 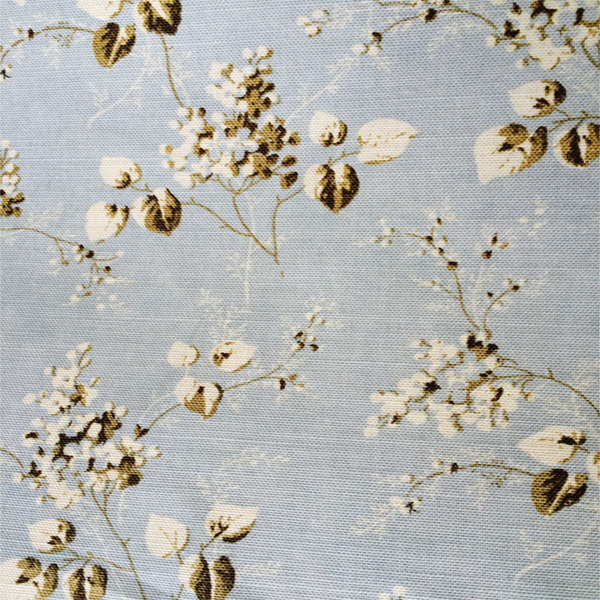 A soft blue base with trailing brown budding floral pattern, highlighted with hints of white. A pretty addition to a sitting room, introducing a little colour and pattern. A great fabric to use for a blind with the coverage of pattern and use of colour. Equally, this fabric could be used to cover an occasional chair or to make some throw cushions.